In an all new episode of Bouncing Back, host Lisa Bien speaks to guest Doice John, creator/owner of SocialAce, about how good manners affect self esteem. Growing up, Doice’s family was very poor, but his mother instilled in him and his brother the importance of manners and etiquette, which helped give him confidence and succeed in all kinds of environments as he got older. Now, Doice works as a coach to others, teaching proper etiquette to raise self esteem and helping people feel more confident in situations they would otherwise avoid. He has done work with formerly incarcerated men to help expand their universe and learn to move in and out of new cultural contexts. Doice helps these communities to bounce back to rules of decorum and manners and discover new opportunities. Doice gives viewers some etiquette tips and concrete ways to overcome anxiety surrounding etiquette. He and Lisa discuss how by enacting this behavior in your life, you will create a positive experience for yourself and everyone you encounter. 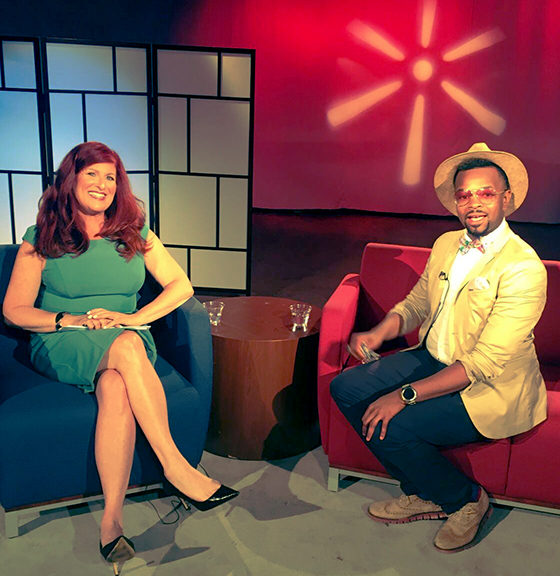 Watch Doice John in an all new Bouncing Back with Lisa Bien, this Monday, August 6 at 12:30 p.m. and 8:30 p.m.